Without Wiring! No Tearing Walls! Quick Create or Relocate ON/OFF Switches for Your Lights! 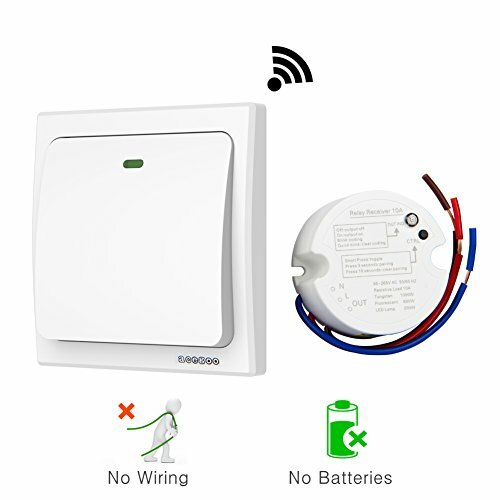 Wireless on/off switch kit is consist of switch and receiver. - Works with any lights like halogen/incandescent/CFL/fluorescent/LED light. - Wide voltage AC85-265v, standard 10 amp, max resistive load 16 amp. - Encrypted connection, no signal interferences between switches. - Battery-free kinetic switch, water resistance, 20 years lifetime.